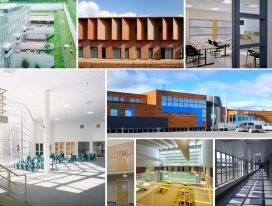 Over the last two decades, there has been increasing recognition that prison architecture can be an important catalyst for rehabilitation. Forward-thinking architects are reassessing classical models of prison design and experimenting with innovative spatial concepts embedded with theories from sociology, psychology, and even ecology. Dr Marayca López, Senior Corrections Analyst and Planner at US firm CGL/Ricci Greene Associates, asks what features a correctional building needs to have if it is to play its part in the rehabilitation of its inhabitants. This is the third in a series of expert blogs PRI has commissioned to examine some of the most interesting trends and pressing challenges in criminal justice and penal reform. The series marks PRI’s 25th anniversary year and will run from May 2014 to the United Nations Crime Congress in April 2015.